Tritha Electric is a psychedelic/fusion rock group from Paris and New Delhi formed in 2010 by Tritha Sina (vocal, guitar, percussions) and Paul Schneiter (drums). Mathias Durand, a flamboyant guitarist from Paris, influenced by Western and Indian Classical music joined the band in 2013. 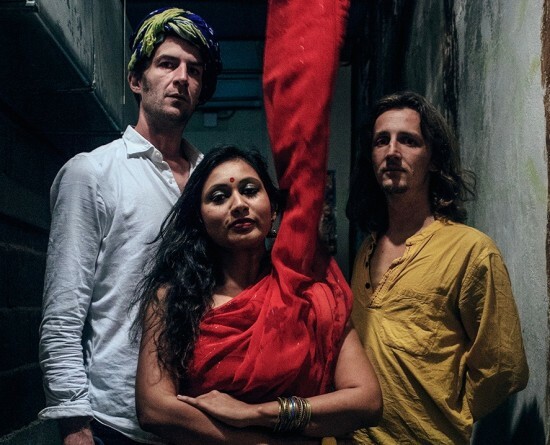 The trio has ever since been pushing musical boundaries, playing an ambitious mix of 1970s psychedelic rock blended with Indian classical and folk influences. "Raagas in Paris", their latest album, has been published in June 2017.